To meet (all students needs) students in an alt ed setting the learning must be individualized and engaging, able to meet the students at their level. A personalized approach to education is a priority and over the past year our team at an alt ed school in Portland have developed ways of doing just this, individualizing the learning through the use of hyperdocs and other technologies as well as engaging students through a project-based curriculum approach. Students who find themselves in an alternative school setting are there for many reasons. Some had difficulty connecting with staff, students or the curriculum at their home school, others missed many weeks, months or years due to unforeseen circumstances such as incarceration, becoming parents or other personal and family needs. ALL students deserve a chance to have their needs met! As I transitioned from a traditional middle school in Oakland to an alternative ed program in Portland, my teacher tool kit wasn't immediately equipped to handle this shift. Many of the daily challenges faced were different then what had become typical. In my first year, being able to create a curriculum where students could work independently at their own skill level and pace was priority number one. I developed units for each content and standard area of math, building in scaffolds so students could work at their own pace. This strategy worked well but lacked the relevance and engagement that our students demanded. While the units had a combination of skills practice and application, at the end of the day it was still just a work packet. I knew that the content we taught could provide a deeper set of critical thinking skills if designed and implemented just right. That led us into shifting to a Project-based model this current school year. Our PBL model incorporated various content areas into units that were on a three week cycle. This cycle supported students by being short enough that if students missed several days in a given unit, they could pick it back up next cycle. In addition to this flexibility, all skills were presented in a context that was personal and relevant to their communities and lives. For example, our Food Justice unit that integrated Social Science and Mathematics involved investigating gentrification in specific Portland neighborhoods and how the rent and home values as well as demographics shifted accordingly. This allowed students to debate the pros and cons of gentrification, collect real world data and use the data to make projections within the communities. 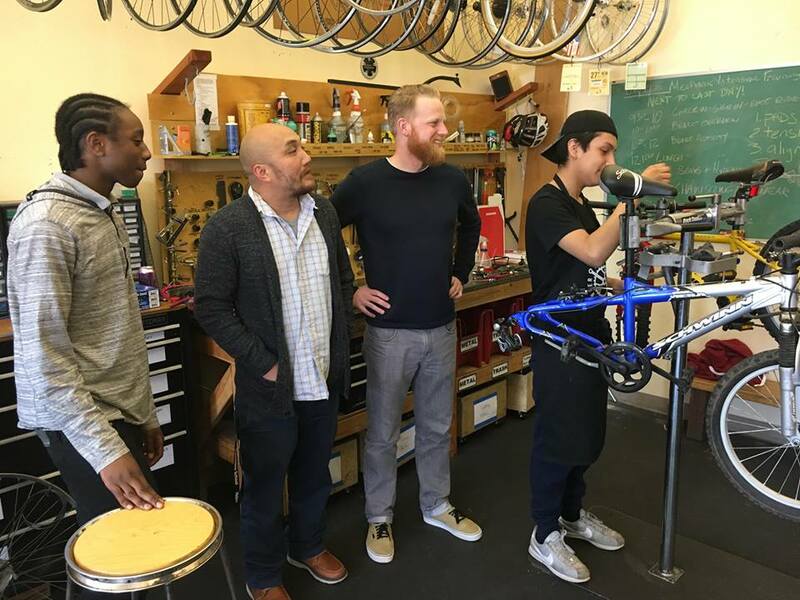 Another connection was operating a bicycle program in-house and teaching the mechanics of physics through this program. These are just a couple of examples of how our curriculum and engagement had changed over the course of the year. This capstone site is developed to show how we have begun our journey to support all students, regardless of which school they are coming from, what skills they are coming to us with or what habits have be ingrained when they get here. Recently, we have been having students develop their own digital portfolios to showcase not only themselves as individuals but the products they have created throughout the learning process. What you will find in this site are resources and tools to get every student to learn, think, design, create and develop a stronger sense of their academic selves. Hopefully you can leave this site with some solid resources to take back to your own students, schools or districts. Cheers!